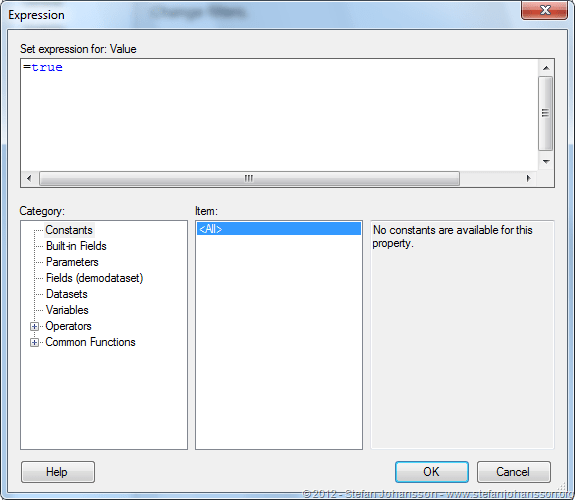 This post describes one way to let users select all values in a filter in a data area such as a Tablix in Microsoft SQL Server Reporting Services. 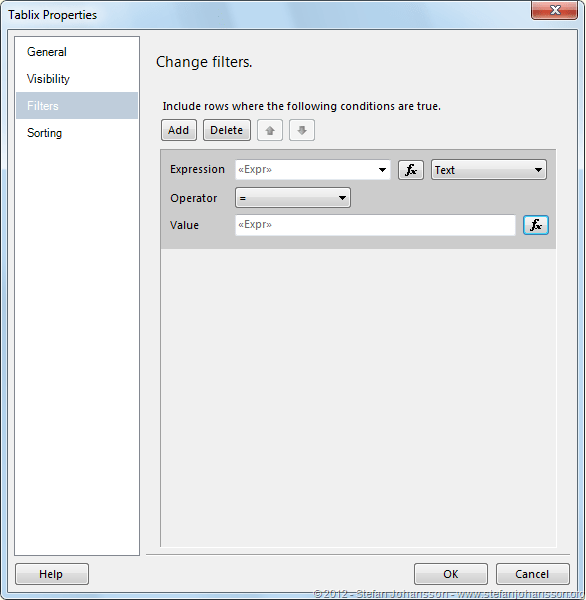 During a recent Reporting Services 2008 course (6236) I was asked about how to use filtering in a data region, such as a Tablix, and present an option for the user to select all filter values. A search for doing this with parameters gives you quite a few tutorials, such as Chris Hays’s from 2004. Searching for the same approach for filtering doesn’t yield the same amount of tutorials. So here is a quick guide for a similar approach for select all in filters. 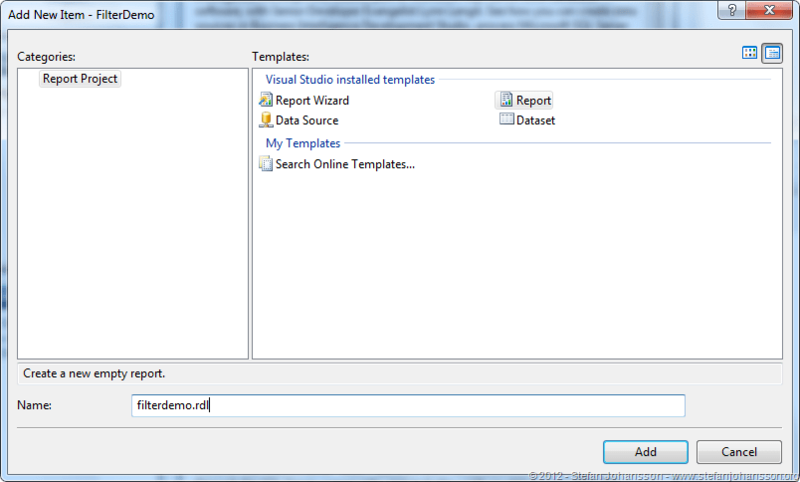 This guide will use SQL server 2008 r2 and BIDS based on Visual Studio 2008. 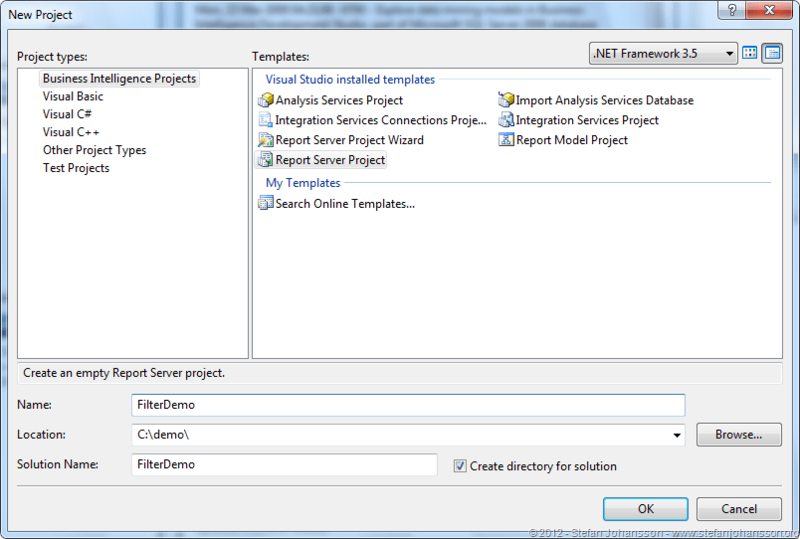 Above: Screenshot of the new project dialog. Above: Screenshot of Add New Item dialog. 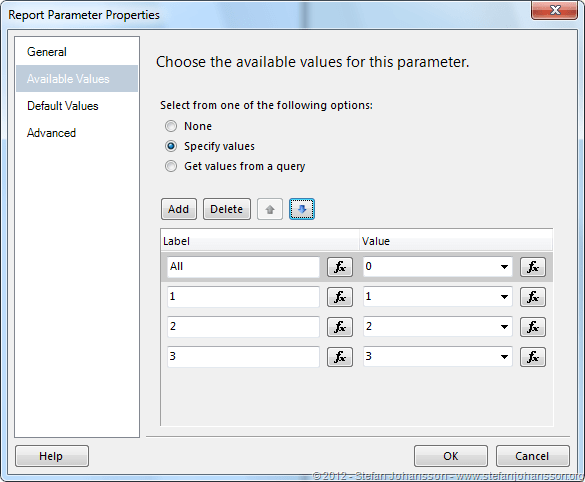 To be able to filter our dataset through a prompt we need a parameter. We will create a manual one. Please use proper datasets mapped to your data for production reports. 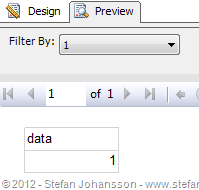 Above: Manual filter items for all and for each of our demo data values. Go to Tablix properties and choose the filter tab. For our Value expression we want to evaluate true so that we can compare the two. Note that we need to enter “=true”, not just “true”. 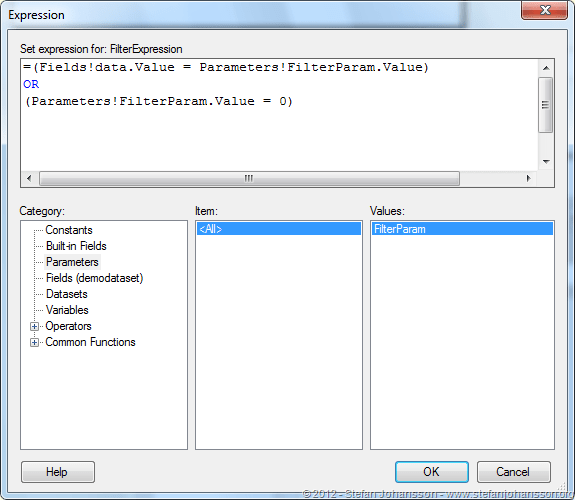 Above: Screenshot of Filter value expression. 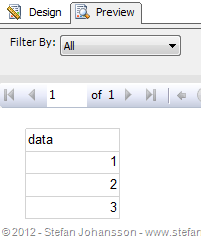 The whole point on using data area filtering versus using data set parameters can be expanded on quite a bit. There are loads of resources on that around. But trying to be complete: One aspect is how much data you want to generate from data source on initial report run, another is if you want to be able to run the same report with different data without generating another trip to the source. 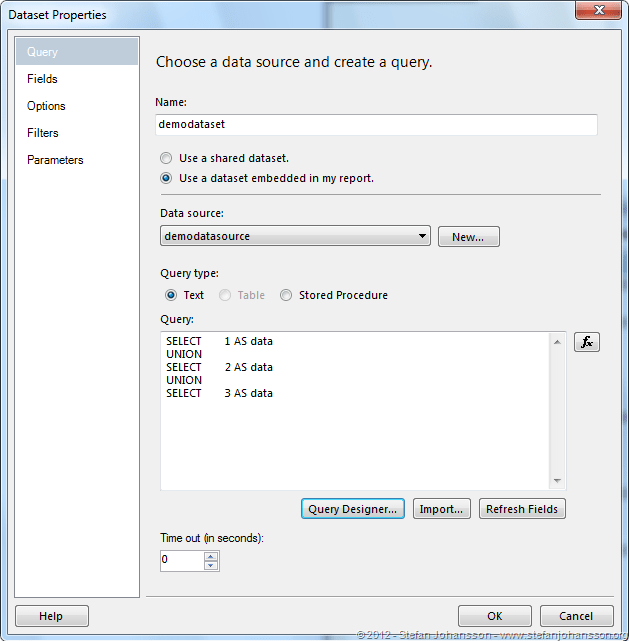 By using parameters and filtering on the data set you only retrieve a limited amount of data. By using filters you can run your report once against the data source and then filter on the intermediate result in a cache or on a report snapshot. This entry was posted in Business Intelligence, Training and tagged BI, How To, Reporting Services, SSRS on 2012-09-09, Sunday by Stefan Johansson.